Turf Maintenance can help you customize an application program designed specifically to your needs. In addition we can assist with inventory management and store your products at our licensed storage facility. We offer an extensive range of equipment to ensure defined accuracy in every aspect of your golf course and sports turf needs. 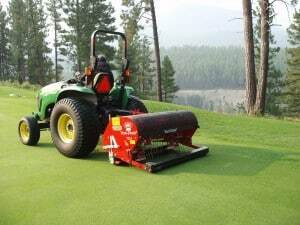 From deep solid tine aeration, core aeration, over seeding, and spraying equipment capable of applications within .021” of precise calibrations. Whether you need help maintaining your golf course, football field, or other sports turf, let us be your one source for all your athletic field maintenance and turf care needs. Contact our office to set up a FREE consultation today!! !